Some friends and I had brunch at TWG Tea Salon & Boutique. 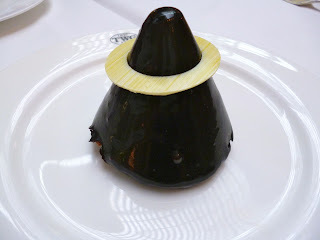 I was here a few months back for afternoon tea which I had very much enjoyed, so I was looking forward to what TWG had to offer for brunch. 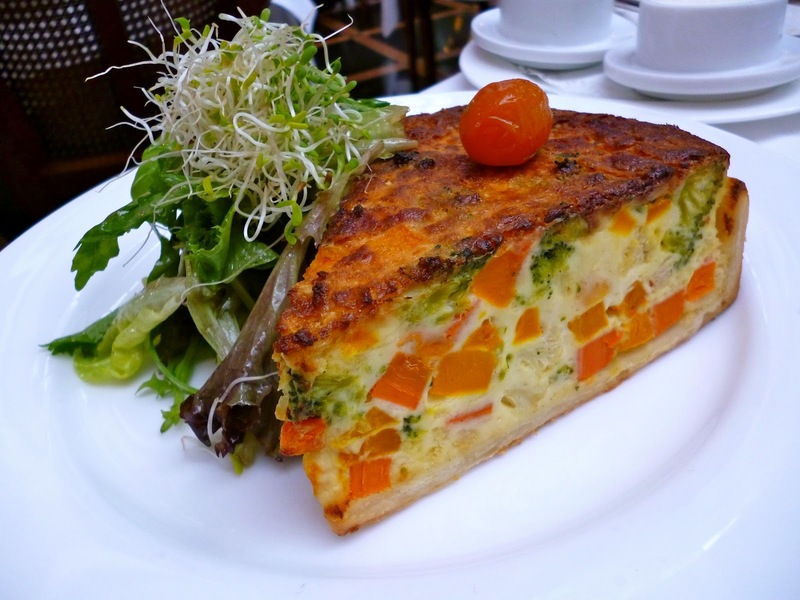 They only serve brunch set menus ranging from SGD 40.00 to SGD 54.00 which come with a main course, apple or orange juice, choice of tea from TWG's extensive selection, 2 pieces of scones or muffins, and choice of dessert from the TWG patisserie. I had the Midsummer Brunch Set Menu (SGD 40.00) which featured the Summer Quiche as main course. I loved the flaky crust and the balance of egg, roasted peppers, and spinach in the pie. This was an extremely generous serving of quiche, and I highly recommend you share this unless you have a gigantic appetite. 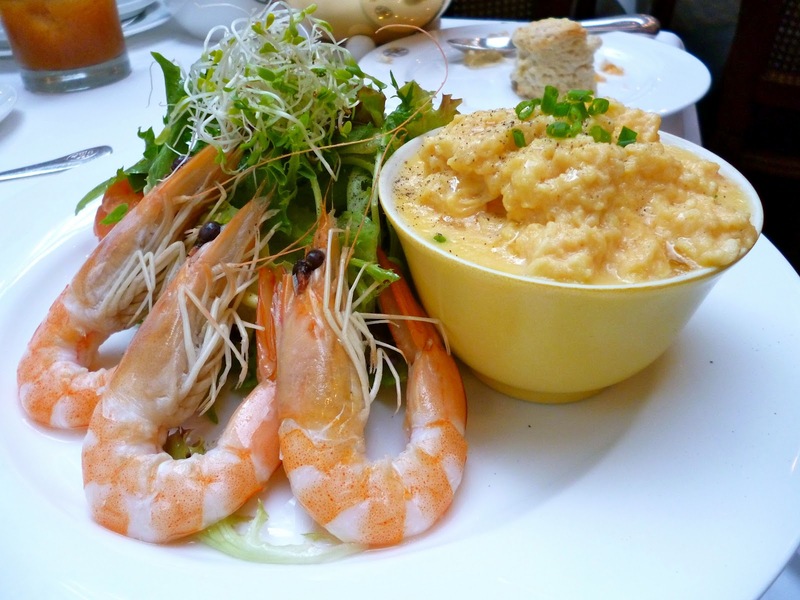 One of my friends also had the Gourmet Brunch Set Menu (SGD 40.00) which had Scrambled Eggs with Alba Truffle Oil and Seafood Salad. The scrambled eggs with truffle was magnificent. The aroma of truffle was very distinct and appetizing. 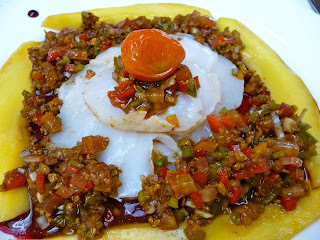 The husband ordered the Pacific Brunch Set Menu (SGD 52.00) which features a Scallop Carpaccio for mains. The scallops were tasteless, and the salsa did nothing to add to the flavor. This was one of the pricier sets and honestly this was not worth the added cost. The cheaper brunch set menus were definitely a better option than these disappointing scallops. The brunch sets came with choices of pastries. 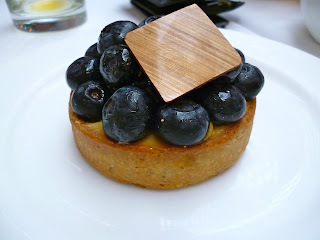 I forgot the exact names of the desserts -- but they looked and tasted like a blueberry tart and a dark chocolate pastry. Both desserts were enjoyable and very visually appealing. This brunch experience was enjoyable, save for the disappointing scallop carpaccio. The rest of our orders were pretty satisfying. And as I mentioned, portions are very generous so don't be afraid to share. Though I did not post any photos this time around, the tea and scones were still remarkable - consistent with my previous vist.